Chase Controls offers threaded ball valves featuring two-piece bolted and threaded body/adapter connections in ductile iron, carbon steel and stainless steel materials with threaded end and socket weld end connections ranging in sizes from 1” FP to 4” FP and pressure classes to 5000 WOG. 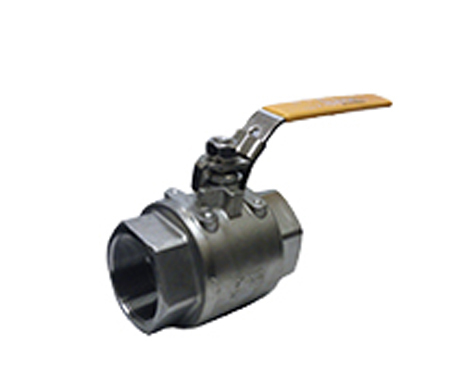 Apache offers a full line of threaded ball valves, carbon and stainless, ranging from 1/4” -2”. Vintrol floating ball valve seats provide bubble tight sealing at high and low pressures with excellent torque performance. Loss of seat insert results in metal to metal sealing for fire-safe reliability. External stem lube fitting and vented weather seal ensure effective lubrication of stem journal and protection from external corrosion or contamination. Vintrol Seal-Welded Stainless Steel and Carbon Steel Full Port Ball Valves are designed with your safety in mind. All valves are manufactured to meet the requirements of ANSI B1.10.1, NACE MR0175, and Fire Safe. Sizes range from 1/4” to 2” in pressures up to 6000 psi.